Select this item if you are ordering a pre-arranged single meal. 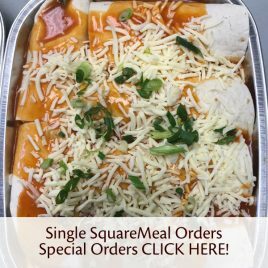 Single SquareMeal Special Orders CLICK HERE! This is for single-dish special order SquareMeals sold individually. Please indicate in special instructions at payout what dish you are purchasing.